Trojan Storage offers self storage units for rent at Sun Valley, CA, in a convenient location near I-5 and Bradley Avenue. Easily access our facility where you’ll find ground-level units, as well as units with drive-up access for your convenience. Use the dollies and carts available onsite for simple loading and unloading of your unit. 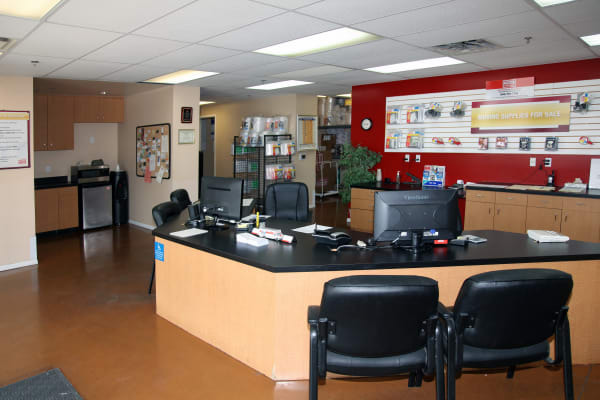 Our facility also includes 24-hour security monitoring and has access hours 7 days a week. Get in and out of Trojan Storage whenever you need to thanks to our personalized pin code entered at our electronic gate. Visit our clean and well-maintained facility to experience all that Trojan Storage has to offer. Contact our friendly and knowledgeable team who can happily assist you in choosing the ideal storage unit for your specific needs – one that fits within your budget and fits your belongings.